Connected by a network of age-old tunnels, gigantic fortified holds hewn into the rocks that lie beneath and beyond the Worlds Edge Mountains have been home to countless generations of Dwarfs. Their reign of iron and stone stretches from Karak Ziflin in the West to the Everpeak, known to the Dwarfs as Karaz-A-Karak, the ancient capital of what was once a mighty Dwarfen empire. Though this empire may not be what it once was, the Dwarfs are as stubborn as the rocks themselves and an unbreakable determination to endure and overcome courses through their blood. As a race used to carving solid stone to create their vast subterranean holds, or else in search of priceless gems and veins of gold, the Dwarfs possess impressive physical strength for their size. What they lack in height they more than make up for in breadth and mass. Densely muscled, dextrous and powerful, they are steadfast fighters whose resilience echoes the very mountains they choose to inhabit. Dwarfs are expert craftsmen, most working in ancient forges and workshops where centuries, if not millennia, of hereditary knowledge are smithed into weapons and armour whose quality cannot be replicated anywhere else in the world. When the clan leaders sound their war-horns however, these artisans are more than ready to take up arms; rune-laden heirlooms passed from parent to child, along with the training needed to wield them in battle. In all but the richest of clans and holds, Dwarfs are expected to maintain their own arms and armour, and once they don their heavy Dwarf mail, they are an impressive sight to behold. They fight well, with great endurance. Supremely confident in the virtues and values of their civilisation, they will often fight to the bitter end, rather than admit defeat. 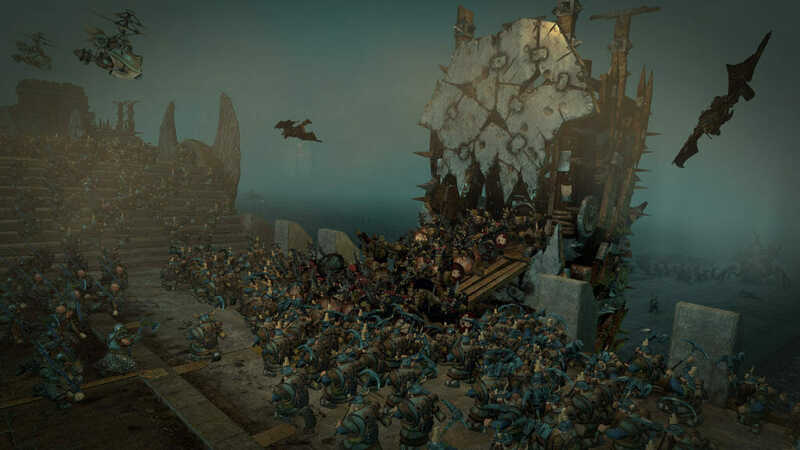 In this ‘Introducing’ video we produced for the release of Total War WARHAMMER, the Dwarfen units shown are Longbeards, Ironbreakers and Hammerers. Unless killed in battle, Dwarfs can outlive men many times over, becoming stoic, wise and foolhardy fighters. As a Dwarf never trims his whiskers, the eldest and most experienced Dwarfs can be easily recognised by the fullness and length of their beard. 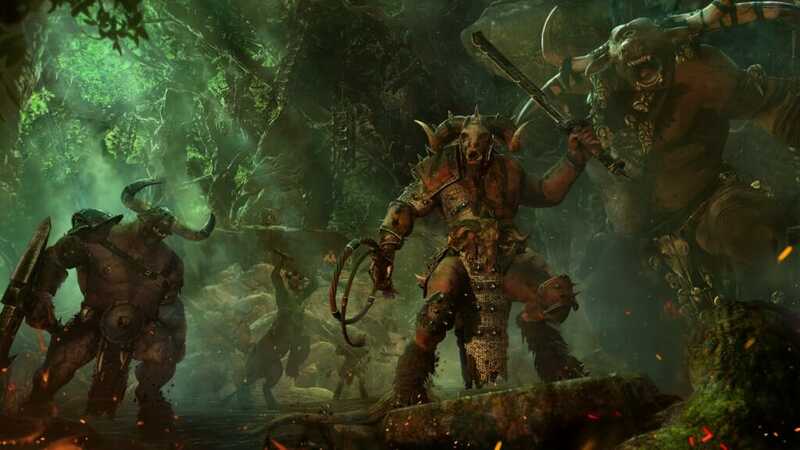 Known reverently as Longbeards, regiments of such battle-scarred veterans steady the battle-lines, swinging mighty axes that send their foes fleeing in terror. They have fought in more battles, felled more enemies and grumbled about their escapades more times than a beardling could imagine. The respect they command is significant. 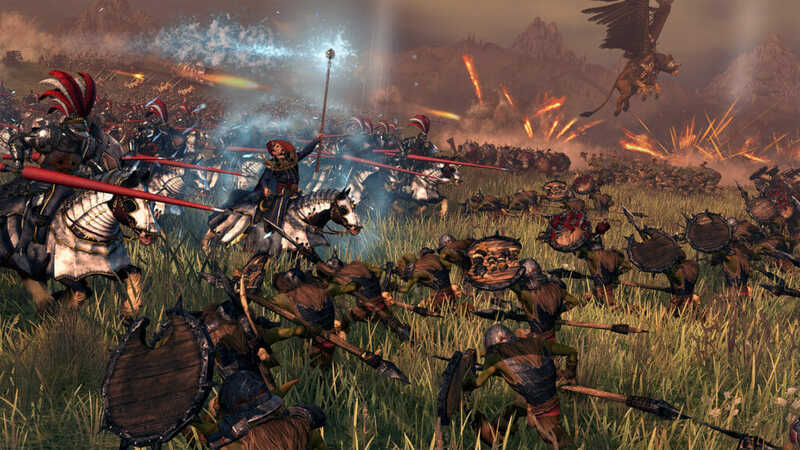 On the battlefield, where panic and confusion are rife, the Longbeards remain solid and steady and others look to them for direction and support. 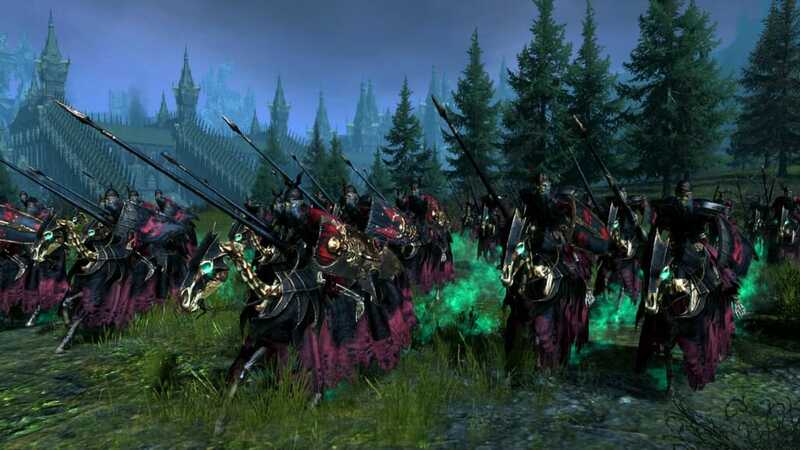 It is upon the shoulders of the most-venerated Longbeards that the High King Thorgrim Grudgebearer is born into battle. Though their weapons may not be much better than those of ordinary drafted Dwarf warriors, their time-earned wisdom and skill makes them invaluable infantry in any throng. For centuries, the Dwarfs have mined the ground beneath the mountains, attempting to appease the gold-lust that all Dwarfs share. In doing so, they have made a skyless network of cavernous chambers and labyrinthine tunnels, reaching ever deeper into the ground. The full extent of the endless tunnels of the Underway is unknown even to the longest-bearded Dwarfen scholars. In the fringes of this subterranean world, un-named things scuttle in the solid darkness, testing the walls of the ancient holds for exploits. The Ironbreakers represent the single defence between these horrors and the holds the Dwarfs inhabit. Without their unwavering vigilance, the remaining Dwarf-held holds would have fallen to enemy attacks long ago. The Dwarfs barricade passageways that have become compromised by would-be invaders but nevertheless the Ironbreakers are never at rest for long. 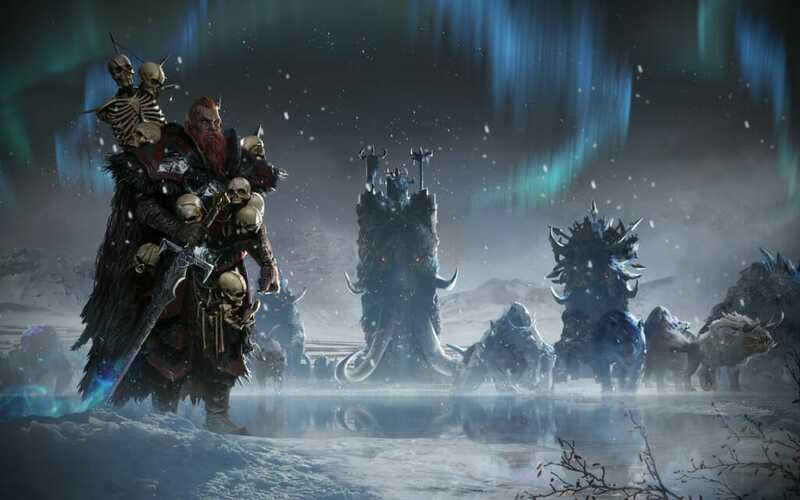 Due to their status and the dangers they face, they are some of the few Dwarfs with access to gromril armour. This mineral, which Dwarfs covet even more than gold, is practically unbreakable. In a world where sudden ambushes and rockfalls threaten to end your life at any minute, any Ironbreaker would not last long without being clad in it from head to toe. They also carry powerful hand-launched Cinderblast Bombs. Especially deadly in close confines, the shrapnel from these can easily cut foes to ribbons. It is an honour to be an Ironbreaker, and to serve as one, vows must be taken that stretch beyond the fealty of any king, Lord or Thane, to protect the holds of the Dwarfen kingdoms at all cost. In times of war, it is not uncommon for Ironbreakers to be called up from the depths to fight on the surface. Here, their experience as tunnel-guardians is not wasted. As a tightly-knit unit, their gromril armour deflects all but the deftest of blows. They swing their axes with expert precision and furious strength, felling enemies ceaselessly and without hesitation. Hard-hitting shock units, Hammerers are individuals from different units and clans who have proven themselves in measureless conflicts and have, in recognition, been assembled as an elite fighting-force. Resplendent in well-polished Dwarf mail, they wade into combat confidently grasping their great weapons. They swing their heavy hammers in great arcs, smashing everything that isn’t enchanted or hell-forged to dust beneath them. These are the most skilled fighters in any hold, and as such enjoy a high status within it. Due to their prowess in combat and their unfaltering loyalty, they are often tasked with being the personal bodyguard of the thane or King who presides over it. When not personally guarding their master they are assigned other key tasks; defending the throne room or front gate. Whatever their duties, they execute them efficiently and swiftly – none more so than putting years of battlefield experience to use despatching those who would threaten the holds they protect.